POLICE Commissioner Gary Griffith is looking forward to the dance to accompany an ode to him by artist Jay Square. The song and video, two minutes and 43 seconds long, began circulating on social media on Monday, and while it praises Griffith, it is targeted at criminals. On his Facebook timeline, Jay Square posted "Sometimes I just too Hype for my own good yes. The Commissioner Recordings," with several hashtags, under a video of him singing his song. Newsday tried to contact Jay Square but was unsuccessful. When called, the CoP laughed, saying he did not want to comment on the song or video, but was looking forward to the dance, before hanging up. The song came out days after Griffith received a fifth death threat. 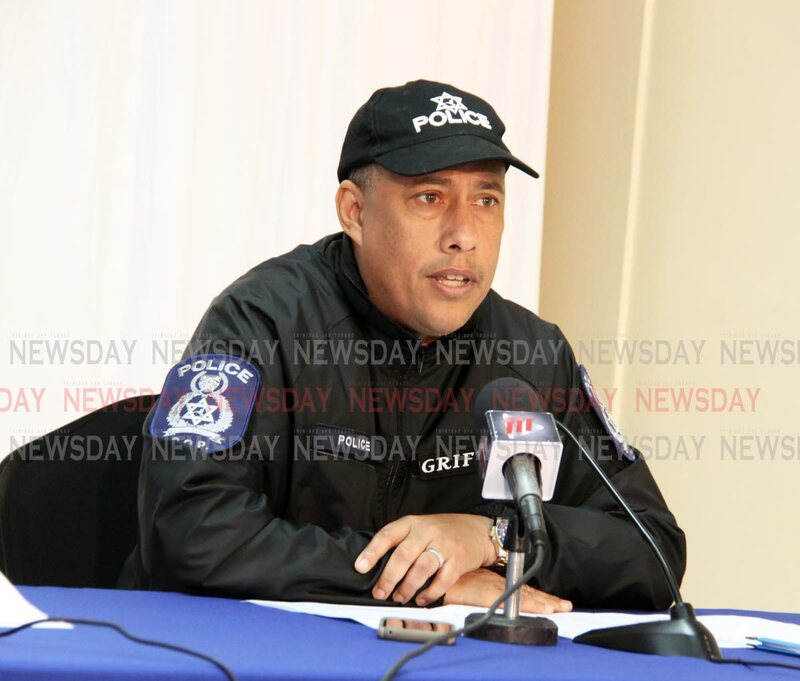 Speaking to Newsday last Saturday, Griffith called on those threatening him to stop wasting time and come for him, promising to make them famous. He said the calls were “getting boring now” and the threats signalled he was doing his job. “I don’t know if it is an opportunity for some to become famous, but what I am saying, instead of calling E999 and grand-charging, all you have to do is come and visit me, and I will make them famous,” Griffith said. Two people have appeared in court with threatening to kill Griffith. Of the five calls, two threatened the life of Opposition Leader Kamla Persad-Bissessar and Griffith, one included his wife, Nicole Dyer-Griffith, and the other two were directed at him only. The first person to face the court was a 12-year-old boy who appeared in the Children’s Court last Tuesday. He pleaded guilty to misusing a telephone to send a threatening message and will be sentenced on January 16. The second person to appear in court was 35-year-old Mahinda Ramnath. who was sent to the St Ann’s Psychiatric Hospital for evaluation. He went to court the day after the pre-teen. An El Socorro man was arrested on Friday in relation to a threat made to both Griffith and Persad-Bissesar. Intro: Yo what dem a feel like gangster no get no green light/Commissioner on duty so dem hand sweaty so dem ah go squeeze tight. Dem go bow down to me the commissioner Gary Griffith/Every evil deed yo we done stop it. Verse 2: Dem send death threat but me say dem boring. Reply to "Gary wants to dance to his song"